With the recent death of Robin Williams and the many other hard things going on in the world, I have seen a lot of discussion of depression. I wanted to offer some resources to help people understand the condition a bit more. First, check out the video below. There is a lot of interesting work being done to understand depression, and options seem to change rapidly. The biggest thing to note in my mind is that the more we research the more we find that there is a biological component to this condition. But it is not just a biological condition like a broken arm or cancer, it effects mood, personality and other aspects of what we would describe was "who people are." The fact is, as people we cannot really understand a situation other people are in until we have had a similar situation. We try to empathize, remember a time we were sad and what we did to get out of it. But that only helps when the source is emotional alone, not emotional and biological. Image from Robot Hugs. Click to be taken to source. Most other ailments do not impact the person's ability to be treated like depression does. The very thing people need to do (talk to people) is the very thing they cannot. It creates a cycle which is part of the reason depression is such a hard thing. It is not a single issue. This is a fun blog it its own right, but the author has two posts that I have found about her experience with depression. This is an interesting text based game available here, that was discussed on Arstechnica. Though a story with decision points and depending on the level of depression, therapy and medication your current play through is on some options will be blocked or allowed. I found it to be a really interesting attempt to help those who have not experienced depression understand just a bit of what people can feel. But please be sure you are confident in where you are before playing, I would hate to see my recommendation of this game increase someone's struggles. Depression is a complex thing. No one treatment plan, game, post or conversation will fully explain or fix it. But please know that there are people at every stage of the journey, and we are here to help. This topic is nothing new, but just about every month I run into someone who could benefit from this information so here it is. We all have data that is hard to replace. From photos of family and friends to tax documents if your computer spontaneously combusted right this second I suspect your heart would sink and immediately you would think of the one thing you know is lost forever. Having a bunch of CDs or an external hard drive is a good first step but there are 3 major types of failures we need to mitigate to have a truly robust system. This is by far the easiest loss case to protect against. Get an external hard drive and use time machine for a Mac or Windows built in backup system to copy all of your files from your computer to the hard drive. 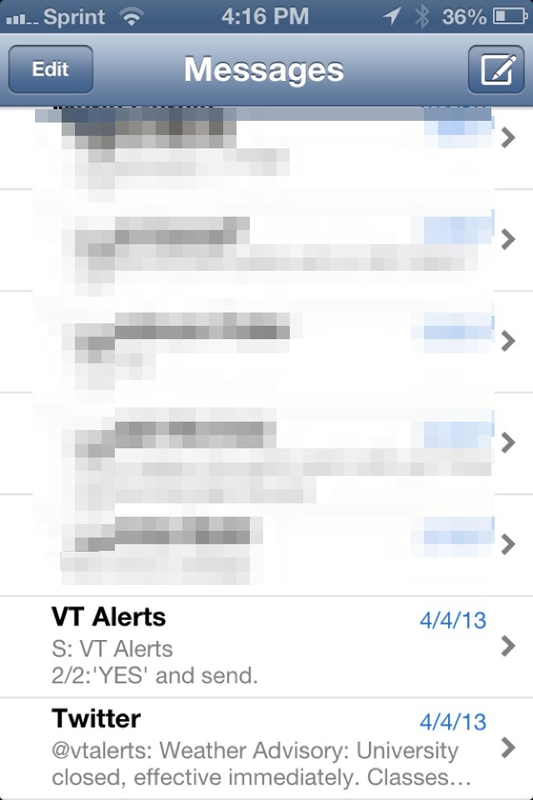 Do this on a regular basis and you have nothing to fear from a device failure (I recommend at least monthly). To be honest though, this is a big task. Remembering to bring out the external drive day after day, month after month can be a bit of an issue. Another thing you can do is keep documents that change often in something like Dropbox (affiliate link) or Transporter, these provide sharing services and off device backups. Also if you have a high speed Internet connection for about $5/month you can get an account with Backblaze (affiliate link, my current solution) or Crashplan to back up all your documents to the cloud. The primary advantage here is the automation of the process. Now you really have nothing to worry about as long as you pay your internet and backup bills. This plan also solves the second loss case, location failure. When I say location failure I mean anything that can happen to the physical location your data is stored in. Let's say you have the computer and the external hard drive, but both are at home. Then let's say someone breaks into your house or your house burns down. These are traumatic experiences and you do not want to compound them with loss of your baby photos or other important files. There are two options. If you like the local hard drive option you can store an additional hard drive at a friend or family member's house. Preferably in a location that would not be subject to the same natural disasters your home could be subjected to. Or you can use one of the online backup options I have already discussed. A form of loss that both of the options I have described thus far are subject to is corruption. Over time files can be miscopied or damaged. Unfortunately this is really hard for the average user to mitigate. The systems I know of are complicated and require a basic comprehension of computer science that is beyond me for the most part. So is there an option? The simplest solution is ubiquitous backups. Have more than one system at a time that you update differently. Do you have an online backup solution? Then manually back up to a hard drive on occasion and store that in a fire safe or safe deposit box. Do you have local hard drive backups? Try adding archival backups to your system and consider an online solution to assist with the automation of your backups. If you think about these types of loss and create a plan, like the emergency plan we all have in case of emergency (right? ), then if something does happen you can focus on the monetary loss and not the loss of information. I have found this takes a lot of the emotion out of how I treat my devices and lets me deal with the loss and move forward quickly. I recently received fun package in the mail. It was from Evan at Hoban Cards. 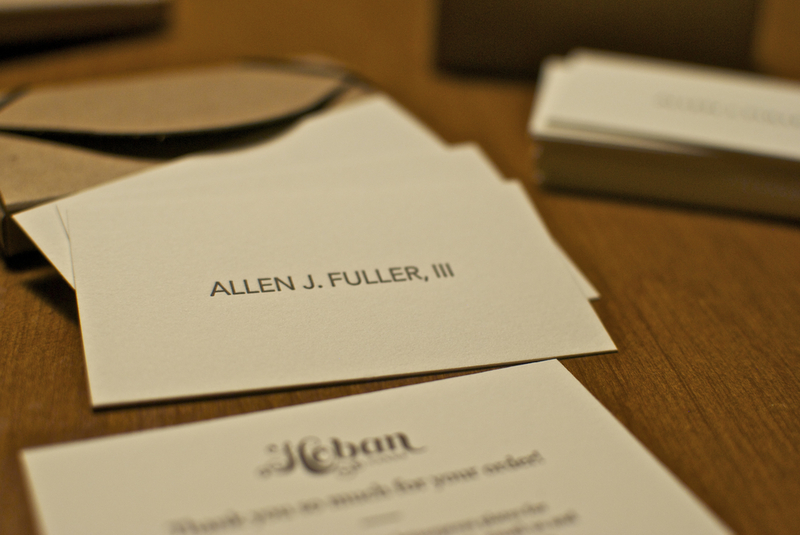 They do custom letterpress printed business and calling cards. I have been looking forward to these cards for a while. What surprised me was that even the unboxing of my new cards felt like a classy and fun experience. I love the feel and the look of these cards and can't wait to start using them. Head over to their website and help make sure they are around when I need to order a refill! Firstly, to Mrs. Decair, I am sorry I did not believe you about the value of poetry in 9th grade. Thank you. Over the last few years I have devoted a lot of thought to the idea of freedom. What is freedom and how can I have it? And for a time I came to a decision. Freedom was having options, the lack of constraints. This made sense at the time. Obligations and a job that did not agree with me made my time feel used up by things I cared nothing for. Freedom seemed to be the lack of those things. The ability to have time. It took a few years and many failed attempts at projects and businesses to realize what I had done. I was like the person in the above poem, only as the poem goes on they choose the road less traveled. I chose no road. I sat where the paths diverged. Happy that I had options. At any point I could go down either road, and that was freedom. But it was shallow. I found that my dream was to be in a room with a desk and my computer and other tools doing nothing. Add to that that it is hard to have friends when you are not moving towards something. What kind of dream is that? My dream was not good relationships or cool projects, it was a maximum of potential energy. Fellow travelers (friends) only exist to those that are moving. Then I discovered what I now believe to be freedom. Making a choice without coercion and sticking with it. Freedom is constraints. That sounds counterintuitive, but the mor I walk down this road the more it seems to be true. For one I am actually moving again, not sitting at the crossroads. I have shipped more in the last year and a half, both personally and professionally than I did in the couple of years I felt freedom was options. I have things I can be proud of and personal growth I can point to, where the past was a time of stagnation. But ultimately constraints and decisions provide direction and clarity. Before my issue was not with constraints, but with the ones I had chosen. I was giving up what I cared about for what I did not. Good constraints force you to give up what is not important for what matters. I am not sure I chose the road less traveled, but I chose a road.